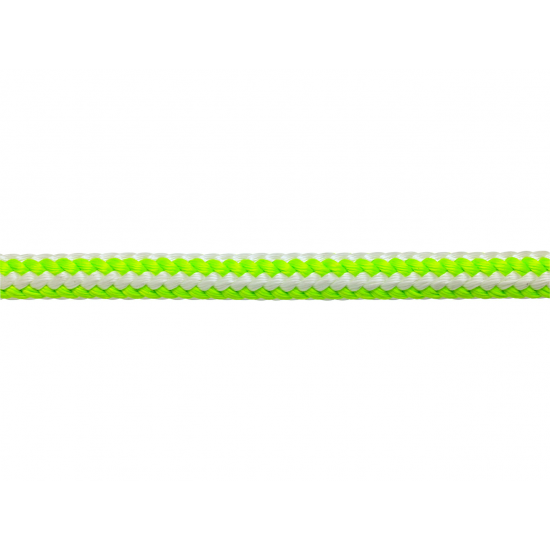 Ultra Vee is the industry standard 16-strand climbing rope. 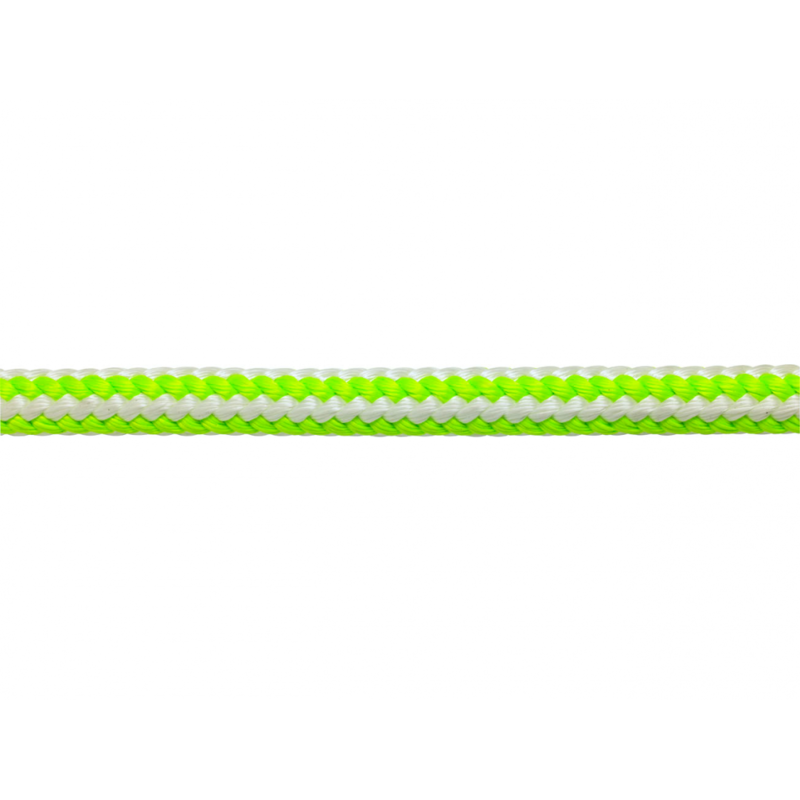 Our engineered design and attention to manufacturing details set Ultra Vee apart from similar ropes. First, each strand in Ultra Vee is comprised of tightly plied fibers. Other manufacturers skip the step of plying the strand yarns which makes their ropes more susceptible to snagging. Second, our strands feature fibrillated polyolefin. This fiber is a better quality fiber than the stiff MFP monofilament polypropylene used in other 16-strand climbing ropes. Fibrillated polyolefin is softer and more flexible which translates into a rope with superior knotability, better handling and no "memory" – the rope coils nicely and does not have kinks after it's untied. The entire rope is coated with a protective finish to enhance abrasion resistance. Blue safety core yarns act as a warning flag should rope become heavily abraded or cut. 16-Strand cover consists of tightly-plied polyester surrounding polyolefin cores, significantly reducing weight without compromising firmness and roundness. Cover yarns are treated with a special formula enhancing abrasion resistance and extending the service life of the rope. High visibility cover yarns stands out in the workplace making it an ideal critical safety line. Arborist Climbing Line Split Tails Life Safety Line Beranek LanyardsComplete with two professionally spliced eyes.